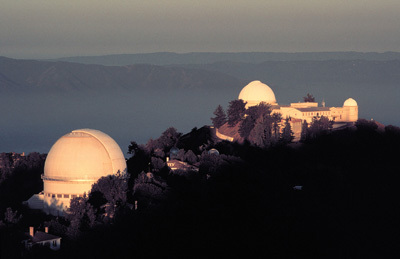 The Lick Observatory is located on the summit of Mount Hamilton east of San Jose. The letter confirms that Lick Observatory operations will continue under the management of UC Observatories (UCO), the multi-campus astronomical research unit headquartered at UC Santa Cruz. In the letter to UCO Interim Director Claire Max, Dorr wrote: "Given the current state of affairs and trajectory for UCO and UC astronomy, we are rescinding the stipulations in our September 16, 2013 letter as to how Lick is to be funded and managed. It is no longer UCOP's intention to require that Lick Observatory be self supporting, begin a glide path to self-supporting status no later than FY 2016-17, or be managed by an entity other than UCO." The letter gives the UCO Director, with advice from the UCO Advisory Committee and others, the flexibility to determine the best distribution of available UC resources between Lick and other UC-related astronomical facilities such as the 10-meter Keck Telescopes in Hawaii, the instrumentation labs at UC Santa Cruz and UCLA, and the future Thirty Meter Telescope now under construction. "We are thrilled to hear this news," Max said. "This letter is confirmation of UCOP's support for Lick, which will allow us to focus our attention on building partnerships for research and public outreach for the future." Max said that there are enough funds in the projected budgets of UCO to run Lick Observatory for the next five years, albeit at a frugal level. Lick has an annual operating budget of approximately $1.5 million. Ongoing fundraising efforts and potential partnerships currently being explored may provide additional funding for Lick. Lick Observatory was established in 1888 on Mt. Hamilton near San Jose, California. The observatory benefits from state-of-the-art instrumentation and serves as an active facility for astronomers and students to conduct research and test next-generation technologies. "The facilities at Lick offer students unmatched hands-on experience and ample observation time, a huge benefit compared with the extremely competitive demand for observing time on larger telescopes," Max said. "Lick Observatory is a truly valuable resource for our students and astronomers, along with the Keck 10-meter telescopes in Hawaii and the future Thirty Meter Telescope." In her letter, Dorr recognized the valuable role of Lick Observatory. "Indeed, we see the Lick, Keck, and Thirty Meter Telescope Observatories as an integrated ecosystem that can together maintain and grow UC's leadership in astronomy," she wrote. Max said she feels optimistic about ongoing discussions and support from UCOP. "Now that we are all on the same page, we can move forward to put the past behind us and ensure that Lick has a vibrant future," she said. 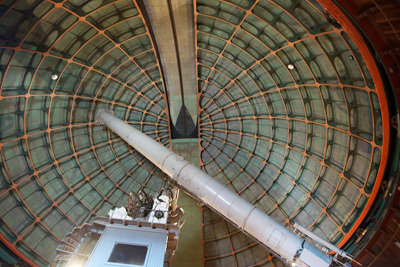 More information about UC Observatories and Lick Observatory is available online at ucolick.org.